GE intelligent lampposts have cameras, sensors, may come to New York City. LED street lights in Oakland, California. We’ve been hearing about the amorphous idea of “smart cities” for a while, but trash cans, sidewalks, and stop signs still seem the same, right? As in the broader Internet of Things movement, though, some subtle creep is beginning, and street lights are the most recent target. In New York City, GE is working to get a pilot of its intelligent lamppost project approved. So far the company has tested the lights, which have LED bulbs on dimmers and include sensors and cameras, in San Diego, California, and Jacksonville, Florida. But putting them in New York would be a whole other experiment in terms of what they can do for ultra-high density urban issues like traffic and crowd movement. DNA Info reports that GE is touting the potential energy savings of the dimmer bulbs as a major reason that the New York Department of Transportation should consider a pilot. “If you’re having a festival or an emergency you can make them really bright, or dim them down,” Jason Whittet, a director at GE’s Intelligent Cities program, said at a local Community Board meeting in Manhattan on Thursday. 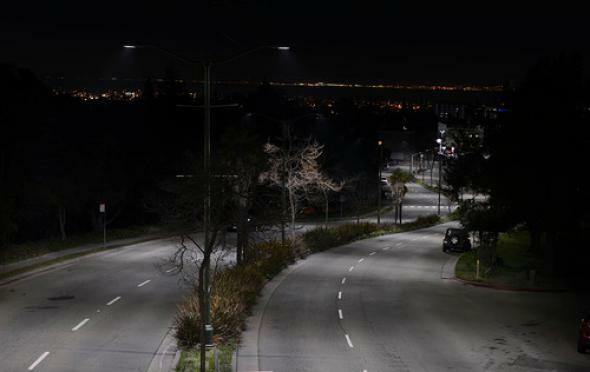 The GE street lights could even be outfitted with custom sensors to monitor things like air quality and noise, similar to a smart streetlight project Chicago started in 2014. A big difference, though, is that the GE lampposts have cameras and motion sensors, too. GE is currently talking about these instruments in terms of congestion management (a big problem in New York) and pedestrian flow, but you can see how they could easily transition to functioning as surveillance tools even if GE never intends that as a use. In the video below, GE explains, “Connecting a city to the industrial internet drives the change that can help turn … challenges into opportunities.” Kind of sounds like opportunities for a cybersecurity nightmare, but, hey, less traffic is always a good thing.